Follow in the footsteps of Salvador Dalí and explore Catalonia through the eyes of one of its most famous sons on this private art and wine tour. Following a pickup at your Barcelona hotel, gain insight into Dalí’s Surrealist masterpieces at the Dalí Theatre-Museum in Figueres— designed by Dalí himself. 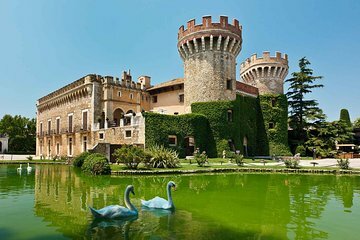 Sample Catalonian wines at the 14th century Perelada Castle, and taste Dalí’s favorite Cava among the vineyards with your guide.